So you have a few days of Ferrari hire and need some inspiration about where to drive? Remember that with Ferrari Hire, you can take the car out of the UK and to continental Europe – we can even arrange to have it delivered to you somewhere on the continent. Here are five continental driving adventures that are ideal if you’ve got a Ferrari hire car for the weekend, or perhaps for a little longer than that, as we offer Ferrari hire deals up to a week as standard. We had to start with the homeland of Ferrari at Maranello, Italy. 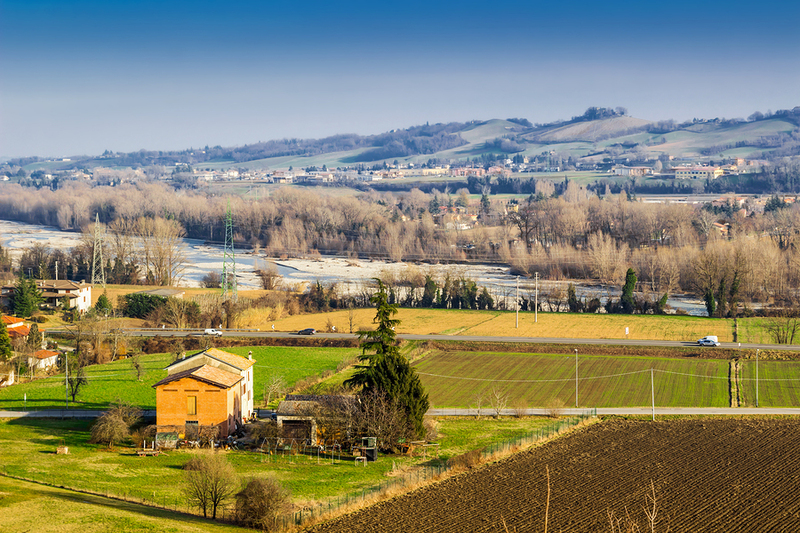 The town in the Emilia-Romagna region of northern Italy is just 18km from Modena and has a population of less than 20,000 people. It’s located on European route E35 which gives you some great driving options – south-east 180km to San Marino, or north-west 190km to Milan and another pilgrimage for petrolheads, nearby Monza. The Iseran Pass has featured several times on the Tour de France but as the highest paved pass in the Alps, it’s much easier to make the climb in a Ferrari! 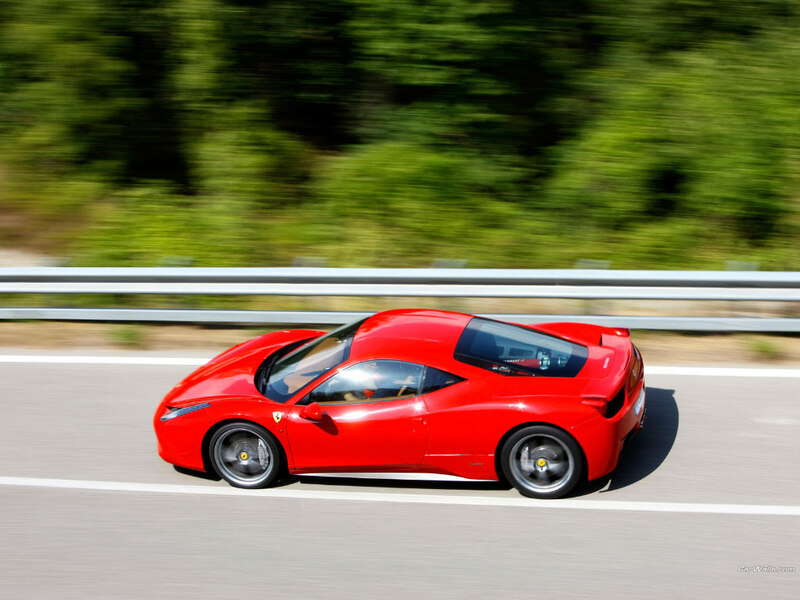 It’s also often included in so-called ‘Italian Job’ driving tours of Europe, as it’s located close to the border with Italy, making it another great option if you want your Ferrari hire car to feel close to home. Officially designated D902, the pass connects Val-d’Isere with Bonneval-sur-Arc, a distance of only around 15km, so you might want to start from Bourg-Saint-Maurice further north along the D902 for a route closer to 50km – just check the pass is open to traffic before you set out, as it is impassable in the winter months. 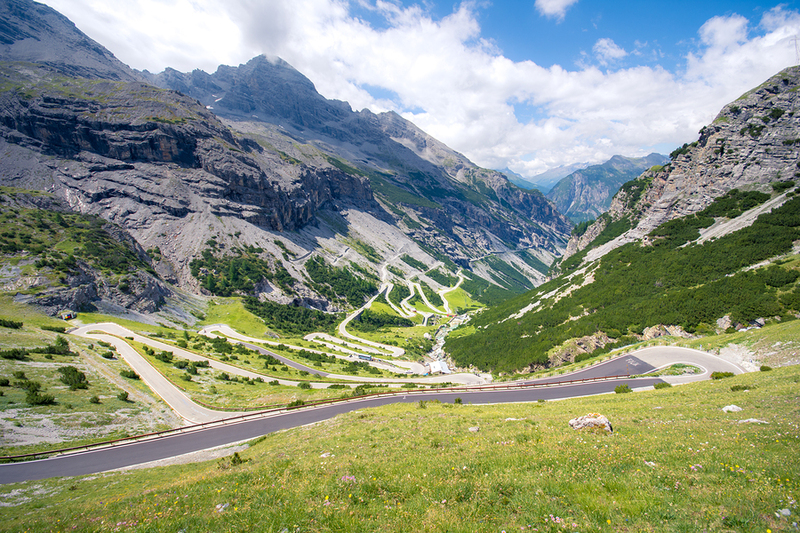 The second-highest pass anywhere in the Alps is actually not in France, but back in the Ferrari’s homeland of Italy, and the Stelvio Pass is legendary among motoring enthusiasts with its iconic stepped mountainside twists, turns and hairpin bends. At its highest point it clocks in at only 13 metres lower than the Col de l’Iseran, and its official designation is Strada Statale SS38. Stelvio Pass itself is again quite short, this time around 25km, while the distance between its near neighbours Spondinig to the north and Bormio to the south is about 50km. For a longer drive, SS38 continues eastwards to Bolzano and south-west to Sondrio and the Valtellina Alps, a total distance of over 200km with spectacular scenery throughout and around 48 hours on the road. We’ve mostly kept it within the same country so far, but the crossing from Munich into Austria is another celebrated route worth tackling if you’ve got a few days of Ferrari hire. Take the Autobahn out of Munich south into Austria and you’ll reach the Hahntennjoch, a 30km mountain pass through the Austrian Alps. You can get from Munich to Innsbruck, a distance of about 150km, usually in around two hours, so there’s plenty of time for detours and to take in the sights and sounds of the Alpine landscape. 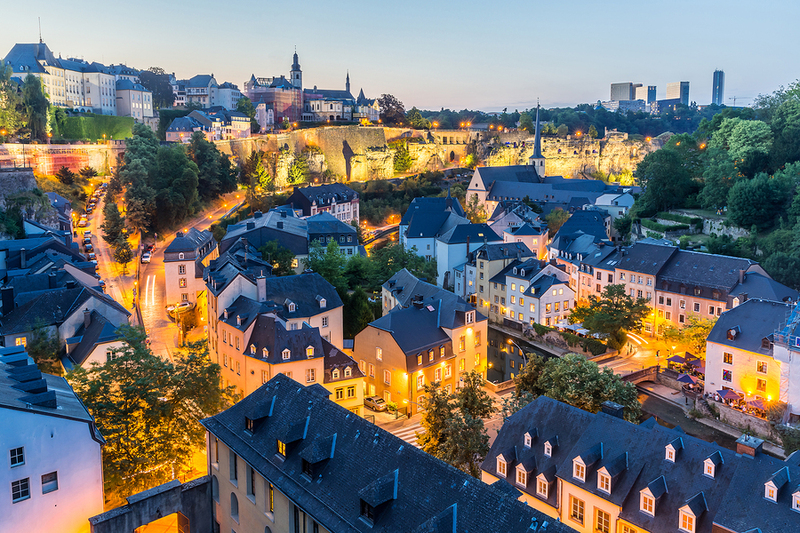 Finally, the A1 route east from Luxembourg City leads to Germany and the sections of Autobahn around Germany’s oldest city, Trier, where you can drive with no official speed limit. Again it’s a route of about 50km between the two cities, and there should be no delay at the border crossing. Be aware there is an advisory limit of 130 kph on the German Autobahn to reduce the risk of accidents – so if you go faster than this, you’re likely to have to overtake much more traffic along the way.